Music- how helpful is it? I know I’m not the first person to think about this. I’m pretty sure there are even people in this class who have done blogs about this already, but it’s such a complex and fascinating topic that I’m going to attempt to tackle it myself and hopefully put my original thought into it. So, music. We all hear it and most people love it. With so many genres to choose from it’s hard to make the blanket statement “I don’t like music” without being met with the response, “like, any music?” I think music is a way humans connect and one of those universal things we can all relate with. But is there more to it than that? Can listening to music actually increase efficiency in many aspects of the brain? Maybe even the body? I asked the question, “how helpful can music actually be?” And the answer seems to be, Very! The next time you’re playing “Closer” by The Chainsmokers on repeat or listening to whichever Kanye song is your favorite, think about how much you’re actually doing for yourself. The null hypothesis of this idea is that music doesn’t have any real effect on the body while the alternative hypothesis is that people who listen to music change their mind or body in some way that music is responsible for. A lot of studies I find when researching for my blogs are correlational. After all, the easiest way to make a link between two things is to find a correlation while finding concrete evidence is a bit more difficult. In this case, there have been tangible anatomical and structural differences in a musician’s brain versus a non-musician’s brain. In a musician’s brain, the volume of grey matter in the brain is bigger (in comparison with the average amount). “Grey matter” is tissue containing neuronal cell bodies and is associated with processing information (Seeing, memory, emotion, hearing, decision-making, etc.) More grey matter means more productivity in these areas (low grey matter is typically linked with old age, bipolar disorder and smoking). So, should music be credited for this increase in grey matter? Many scientists suggest yes. 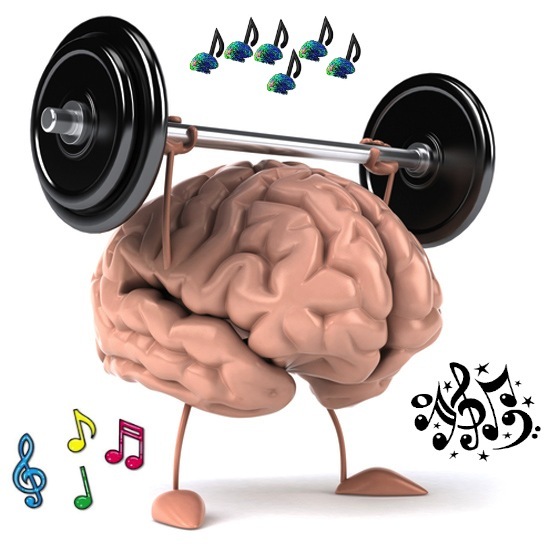 Music connects cognitive functions of the brain. Music is a sequence of sound, which goes against the nature of the human brain (to separate things and put them into different categories). Music recognition relies on your working memory to put sounds together in a continual flow and trains the brain to connect things rather than isolate them. In turn, this helps a person’s memory, attention span and emotional health. How? Think about the last time you felt very sad or angry. If your brain hasn’t been trained in the way music helps, to connect different parts of your brain, you’re less likely to find a reason for this emotion and just let it stew. Music can help make neural connections between your emotions and reasoning. These kinds of things are very important in a developing brain and that’s why playing music for infants and young children is so beneficial. Before the age of 7, brain maturation is rapid and vital. Music listening at a young age is thought to enhance sensory development and create more connections between pathways in the brain. Playing music for your kids might be a good idea! As weird as it sounds, music can also have positive physical effects. In a study done in Japan, people who had group music sessions twice a month had their systolic blood pressured lowered about 5-6 points. Cardiologists at University of Maryland Medical Center have linked this to a 5-15% lowered risk of dying from a stroke/heart disease. It’s odd that something intangible can help your physical health? This shows that the connection between the body and mind is very strong and especially in healing, the mind seems to play a powerful role. In another study, patients had surgery and some listened to music after surgery, some didn’t. The ones who listened to music after needed significantly less painkillers (in this case, morphine). This could be a placebo effect, for if someone was telling you “music helps the pain”, you might involuntarily feel less pain just because you keep telling yourself you’re feeling less pain. However, the overwhelming amount of research suggests that listening to some kind of music can help physical health. So is it a specific kind of music that improves these physical and mental functions? Or does it not matter? I found no evidence that suggests any specific type of music improves things overall (usually any kind of music you “like” seems to be what helps you most, unsurprisingly) but there is evidence that certain types of music can be more relaxing. One researcher at University of Nevada found that sounds found in nature (rain, thunder, etc.) were more soothing to people. This meant that instruments and types of music that mimicked these sounds (string instruments, drums, woodwind instruments) were more relaxing! This isn’t a shock, for human’s biology stemmed from our ancestors who lived more closely with nature and in turn, I’m sure, got very comfortable and used to the sounds of nature. Humans haven’t quite evolved past those roots with our ancestors, which is saying a lot. At this point, it’s hard to say that music doesn’t have some sort of effect besides being fun to listen to at parties or in the car. Music is an integral part of society and the immense benefits make it even better. I know a lot of this information was correlational but there if we are to believe all of it, there is great reason to reject the null hypothesis. Think about this next time your parents or RA tells you to turn it down! This entry was posted in Uncategorized on October 6, 2016 by Molly Samantha Arnay. Hi Molly, I really enjoyed this blog. I spend a lot of time listening to music, and from time to time would wonder if it was purely a leisure activity or had other added benefits but it’s great to know that it does. The part about music connecting cognitive functions of the brain and therefore allowing you to be more creative as your brain connects things rather than isolates them was what I found most fascinating. I used to listen to a lot of music when I was younger, because my older brothers would always blast it through the house, and teachers would comment on my ability to see certain relationships within course material. I think it would be interesting to see a breakdown of different genres and how, if at all, each genre may affect a certain positive aspect that you outlined. For example, would good quality rap, since it’s poetry and heavily lyric focused, affect your ability to connect cognitive functions, as well as memory, more than classical music which is more instrumental based? If this does turn out to be the case then you could have people forming ‘musical diets’ — an extension of the musical therapy idea linked to by Brian — to tune and improve the different aspects you mentioned. I found this article as an example of the possible effects of listening to different genres. Very informative post, music has always had an affect on me and I feel as if the world would be very different without it. I listen to music while doing everything from homework to reading books, it sounds weird but I retain more from reading with music on. Without it I could read a whole chapter and not retain any of it. It also has helped with my mood, if I don’t start the day with playing music in my room before I leave I feel less energized. Music has also helped me if i was feeling nervous or anxious about something, if the music is uplifting my whole mindset changes and I feel more confident. Here is an interesting article I found about music therapy and how it helps with your mood, stress, enhancing memory, and pain. 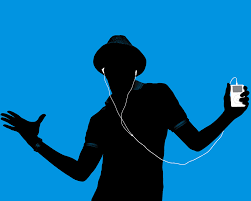 I personally think music is extremely helpful, especially because it brightens my mood. Music is also extremely helpful to me at the gym. I’m not really one to go work out on my own, but since I’ve come to college I have been spending more and more time at the gym. I think a large part of this is because I don’t have as much time to listen to music in college as I did in high school, so now I make up for my lack of music by using it to motivate me throughout my workouts. This extremely insightful article explains the benefits of helpful workout music. Now that I’ve read it, I think I need to spend a little more time perfecting my playlist to optimize my workouts and my mood. Hi Molly, I really enjoyed reading this piece! I find myself always looking to music to make myself feel better and agree that music can affect our body in different ways. For example, when I am doing homework especially math homework, I have to listen to music to be able to get my work done quickly and efficiently. I’m not sure what it is about music that just keeps me motivated. Like you said, listening to music at a young age is very important. What immediately comes to mind is when we learn to say the ABC’s, or rather sing the ABC’s. I’m sure that this learning technique helped us as children to remember our alphabet just by singing them. I found this interesting article article on how music is used to help memory and learning which I think is especially prevalent with children. I’m sure we can all remember some of our favorite songs we used to sing in elementary school which I think shows how important music is at even a young age.